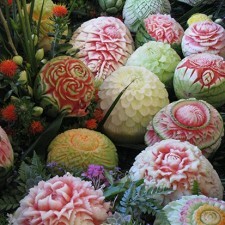 I thought that you might enjoy seeing these photos of beautiful fruit carvings. 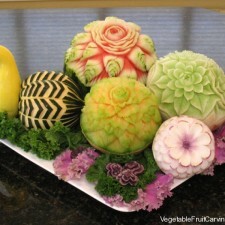 They may provide inspiration for you to learn fruit carving. 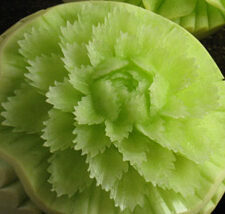 If you are already an experienced fruit carver, maybe you will get some new ideas for patterns to carve. 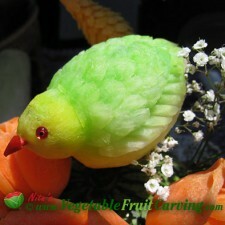 Yesterday I participated in a little friendly fruit carving competition and won 2nd prize. 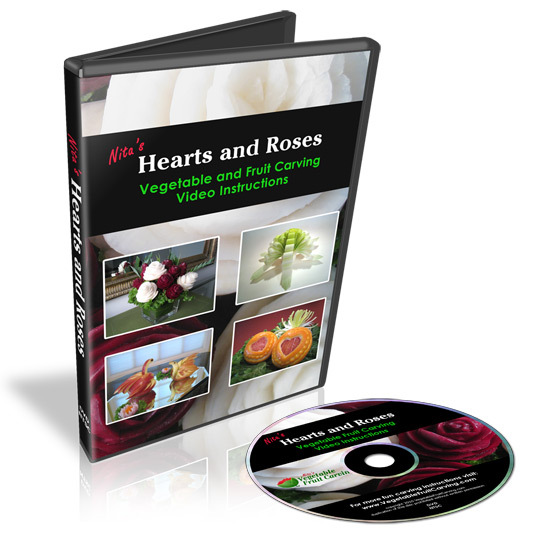 I thought you might like to see my arrangement. 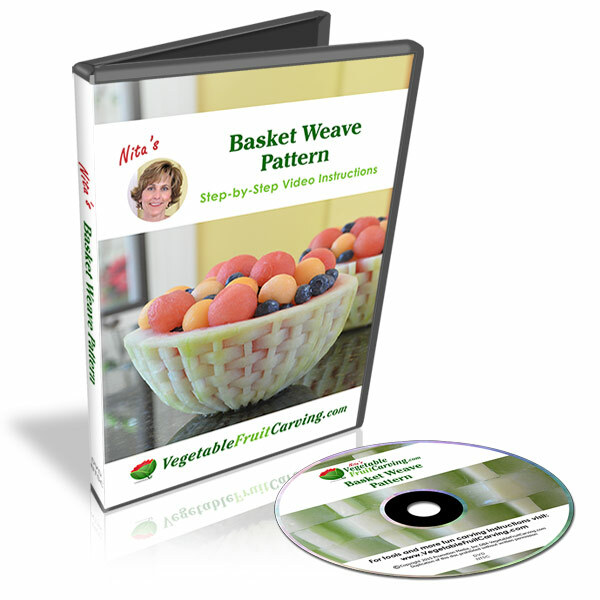 I hope it gives you some ideas for your own arrangements.